There came a point early in these women’s lives where they knew the path they would follow in the world of science. In some case, the path could be traced back to childhood. In others, their studies led them to a harsh reality they wanted to solve. 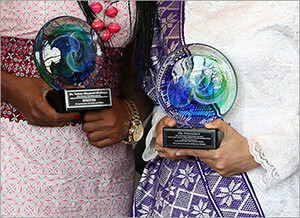 In all instances, inspiration was their compass, guiding these women into work that would change the lives of others. These are the five winners of the 2016 Elsevier Foundation Award for Early Career Women in Science in the Developing World. They come from Indonesia, Nepal, Peru, Uganda and Yemen and were recognized last month in a ceremony at the American Association for the Advancement of Science (AAAS) Annual Meeting in Washington DC. In the days before the ceremony, they practiced telling their stories in dress rehearsals and on a panel at the Global Women’s Institute at George Washington University. Nerves soon gave way to the passion that comes with preparation, and knowing their work is having an impact on their countries and the world beyond. Every time I received prenatal care, I remembered every woman in the Amazon. They didn’t receive any prenatal care at all. They didn’t even know they were pregnant because they didn’t have access to a pregnancy test. They were taken care of by traditional birth attendants who didn’t have formal training. And they delivered at home without the presence of any trained healthcare personnel. Their children didn’t receive any vaccines within the first days of life, and since they didn’t give birth at that hospital, often they did not get an ID card. So that’s when I decided to focus my research toward improving maternal and child health in the places that needed it most. In Magaly’s country, that meant the remote communities of the Amazon, which has triple the infant mortality rate and double the maternal mortality of the rest of the country. She researched the region to figure out their needs and how to help. 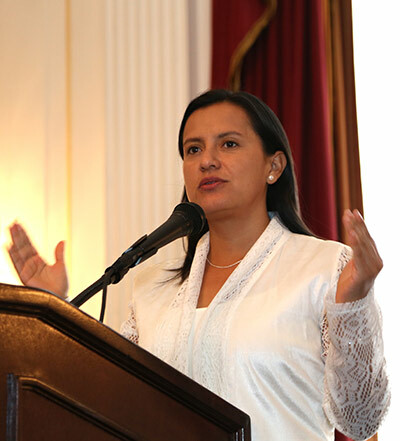 Then she started the Mamás del Río (Mama River) program, funded through Grand Challenges Canada and the Peruvian National Council of Science and Technology (CONCYTEC). We build capacity by training traditional birth attendants and health promoters from remote communities of the amazon who live in extreme poverty, who don’t have water, sanitation or electricity. We train these community agents to use smartphones to georeference and collect information about pregnant women in their communities and send this information through their cell phones to a medical ship and to a health post. So when a medical ship comes, the physician of the medical ship knows which women are pregnant which women are high risk, and how many children were born in the community so they can get an ID card. The program now has 50 community agents and five people who do the monitoring and evaluation. If I were a man I wouldn’t get pregnant and therefore I wouldn’t have thought of this program. As women, we have different points of view of life, different ways of solving problems than men, and we experience such different things than men – like pregnancy and breast feeding, like raising a child – that not only change your life but also influence the research you are doing and the populations you are trying to reach and the lives you are trying to improve. So I think that’s the advantage of also having women in science: we have a different approach. In Indonesia, people have used jamu for centuries for health and medicinal purposes. It’s typically made from natural ingredients found in plants. Her mother's brew contained herbs such as temulawak and temuireng root, mimba and sambiloto leaves and gula batu. Over the years, Fatma became convinced of its health benefits, saying she experienced relief from mild allergy symptoms, for example. Now, as Assistant Professor and Lecturer in the Laboratory of Natural Product and Chemical Synthesis at the Institut Teknologi Sepuluh Nopember in Surabaya, Indonesia, she has been analyzing the medical and pharmaceutical potential compounds from plants and fungi, including Jamu. And she gives students the opportunity to participate in her research. Their area has no adequate hospital, so if they are sick, it is hard to get treatment. Traditional medicine is still a viable alternative to cure a disease for them. I have to help them find the science behind it. I do not want this knowledge to be lost without a trace. This knowledge should be part of the development of science in Indonesia, which can be used for children and grandchildren and later for the sake of humanity. 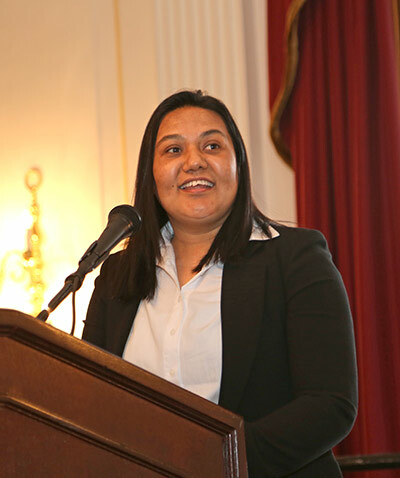 Her path to becoming a researcher was not easy, and she credits the support of her family and the scholarships she received for higher education. Fatma received a Hitachi scholarship to do pursue her and doctoral studies at Kyushu University in Japan together with her husband. Their three children were born while she continued her studies. It used to be very hard when I had to go to the lab in pregnancy. I had ‘morning sickness’ all day. But I believe that the presence of my baby is part of science, that God entrusted me to do my research, and (my child) raised my passion to continue my research. I have isolated a new compound of lingzhi as a wonderful gift for my struggles. Currently, she’s doing her research in France as L'Oréal-UNESCO for Women In Science International Fellowship in the Institut Universitaire Européen de la Mer in collaboration with L’Institut de recherche pour le développement (IRD) and Centre national de la recherche scientifique (CNRS). In her blog Dapur Fatma Fukuoka (Fatma Fukuoka’s Kitchen), she collect recipes for her children and writes about science in the kitchen. And yes, her own children drink Jamu. But when they cringe and ask her why, she does have an answer for them. She tells them about the science. 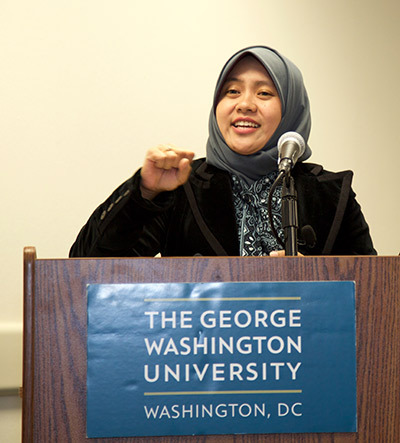 Dr. Ghanya Al-Naqeb grew up on a farm in the mountains of Yemen, where her family grew fruits, vegetables and herbs. As a young child, she would follow her father around the farm and help him with his work. There, he would teach her about the plants. When I was reading the literature, I did not find any scientific evidence about the Yemeni plants. I could find a lot of scientific evidence for the plants from India, plants from China, but I never saw the Yemeni plants. So I told myself, I have to work on that. I have to continue my studies to do my masters and PhD in this area. She received a scholarship to pursue her studies in nutritional sciences at Universiti Putra in Malaysia. For her PhD, she studied the effect of Yemeni plants on disease prevention and health maintenance. She studied the effects of the seed oil on diabetes and heart disease. And she had her master’s students interview older people in Yemen to ask them about the plants they used for different purposes. My dream is to translate the science into a product. What is the meaning of science if it is not translated? And she’s well on her way. 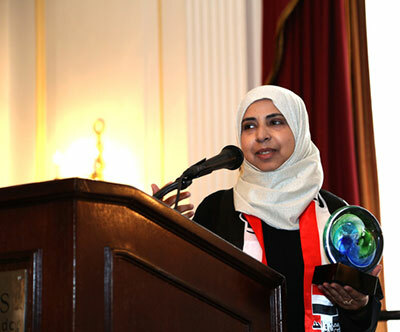 She has two international patents and 22 publications, and she established a Division of Human Nutrition at Sana'a University in Yemen – the first of its kind in Yemen – where she serves as an assistant professor. But things have not been easy there. We don’t have facilities to do research or grant money to do research, especially after 2011, with all this conflict and war. But I never stop. I’m still doing the work, and I search on the internet to find people to collaborate with. Last year, she had an opportunity to do her research as Fulbright Scholar at Grand Forks Human Nutrition Research Center in North Dakota. Soon after Sushila finished her master’s degree in chemistry at Tribhuvan University in Nepal, she started her professional career as a chemistry lecturer at Lalitpur College. That’s when she realized she could be doing more – for her students and for science. “I felt that the teaching method I was using was incomplete because we were using only traditional theoretical education,” she said. “I always felt this teaching would help students very little, so I decided to move into research." She embarked on a PhD in biochemistry at Sun Moon University in Korea. There I learned many things about research – how scientific research is done and how to interpret data and deduce conclusions. But she wanted to be more productive with her research and contribute more to her country. My country is famous for Mount Everest and as the birthplace of Gautam Buddha (the founder of Buddhism). But I always wanted to do something extra that will give new identity to my country. I want people to realize that Nepal is a home for diverse natural products that can help protect the world from drug-resistant diseases. After completing her PhD, she returned to Nepal to explore natural resources for their medical potential. She became a founding member of the Research Institute for bioscience and Biotechnology (RIBB) in Kathmandu, later becoming its Research Director. There, she began researching streptomyces bacteria that live in the soil in high-altitude regions of Nepal, to identify substances for the development of new antibiotics and other medically useful compounds. “They have great potential to combat the emerging drug and antibiotic resistant diseases worldwide,” she said. We don’t just teach book chapters and theory; I have my students work in a lab so they can interpret the theory (and put it into) practice in a more applicable way. Now, as a postdoctoral fellow at Seoul National University, she is researching the development of advanced biomaterials for vaccine formulation. Her innovations include the development of a biologically safe and pH sensitive polymeric system that can deliver antigens to the small intestine. 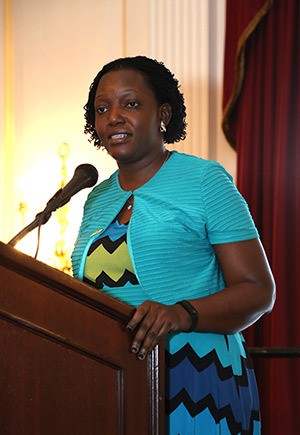 When Dr. Ethel Nakimuli-Mpungu went to work in Uganda’s national mental hospital as a general practitioner 15 years ago, she discovered something that would change the course of her career – and the lives of many patients. I noticed that there was a tremendous increase in the numbers of persons with HIV/AIDS being admitted because of mental health problems. At that time, I could not even find a textbook about this problem, and yet we were having tremendous challenges in managing these patients. For example, they responded differently when we gave them the usual treatment. So to me it was clear they needed interdisciplinary care. They had severe infections and they also had mental health problems, so we needed to provide collaborative care. But here they were in a mental hospital with only general practitioners and psychiatrists, and the hospital was not equipped to take care of people with infections. And unfortunately the physicians never wanted to associate with the patients once they developed a mental health problem. They had to get them off their wards and off to the mental hospital. So because of the stigma and misperceptions associated with mental health problems, these patients were not getting the holistic care they needed. When I saw this kind of situation, I made the decision to study mental health and do mental health research and get to the bottom of these problems and understand the best ways we could treat them so patients could have a better life. Ethel went on to become a psychiatrist, doing her doctorate in psychiatric epidemiology at Johns Hopkins University in Baltimore. 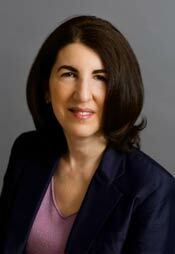 Her research has focused on treating depression among people living with HIV/AIDS. To this end, she worked with other researchers to develop a highly effective system of group support therapy, publishing their results in The Lancet HIV. Her work has inspired other young psychiatrists to specialize in this field and do research on mental health problems with HIV/AIDS patients. And she continues her research as Senior Lecturer and Psychiatric Epidemiologist at Makerere University College of Health Sciences in Kampala, Uganda. As with many women in science, Ethel’s career has required perseverance, serious time management and a supportive environment at home and at work. As a mother of four, she balances a demanding career with an active family life. In Uganda, that is common for successful career women, she said. It is a cultural norm that your role is primarily that of caregiving. For a woman, you have to fulfill your cultural obligations to gain respect in society. And those cultural obligations include getting married, taking care of your husband, giving birth to children and taking care of your children. Those are the primary things that society expects you to do. If you fail to do that, however educated you are, you cannot earn respect in your society. So if you choose to become a professional, you had better fulfill your cultural obligations as well. I think women have to overcome more challenges to become a successful researcher. Because we have the role of caregiving, which in itself is very demanding, to add a career in science on top of that and be able to succeed, you really have to have a lot of support. You could not do it alone. In her case, much of her support and inspiration has come from her husband, whom she calls her “partner in science.” As he pursued his master’s degree in clinical epidemiology and statistics, he piqued her interest in scientific research. When she chose to go into mental health, he would go on the Internet and look for articles that would interest her. And early in her career, they published articles together where she would do the research and he would do the statistics. As she continued to do impactful research, more support came in the form of grants to support her efforts in training lay health workers to treat depression among people with HIV in rural Uganda. The Elsevier Foundation Awards for Women in Science are given in partnership with the Organization for Women in Science for the Developing World (OWSD) and The World Academy of Sciences (TWAS) for the advancement of science in developing countries. The program rotates annually between disciplines: Biological Sciences (including Agriculture, Biology and Medicine); Engineering Sciences (Engineering, Innovation and Technology) and Physical Sciences (Chemistry, Math and Physics). Early career researchers are rewarded for research that has been recognized internationally as well as having an impact on regional and local economic development and well being. All of these women also demonstrate a strong commitment to mentoring young women scientists. Dr. Alison Bert (@AlisonBert) joined Elsevier in 2007 from the world of journalism, where she was a business and education reporter for The Journal News, a Gannett daily newspaper in New York. As Editor-in-Chief of Elsevier Connect, she works with people around the world to publish daily stories for the global science and health communities.